A new Nerf Rival Nerf blaster called the “Artemis XVII-3000,” has been spotted on ACD Distribution as well as A.B.GEE (thanks to MarcusH26051 on the Nerf sub-Reddit). 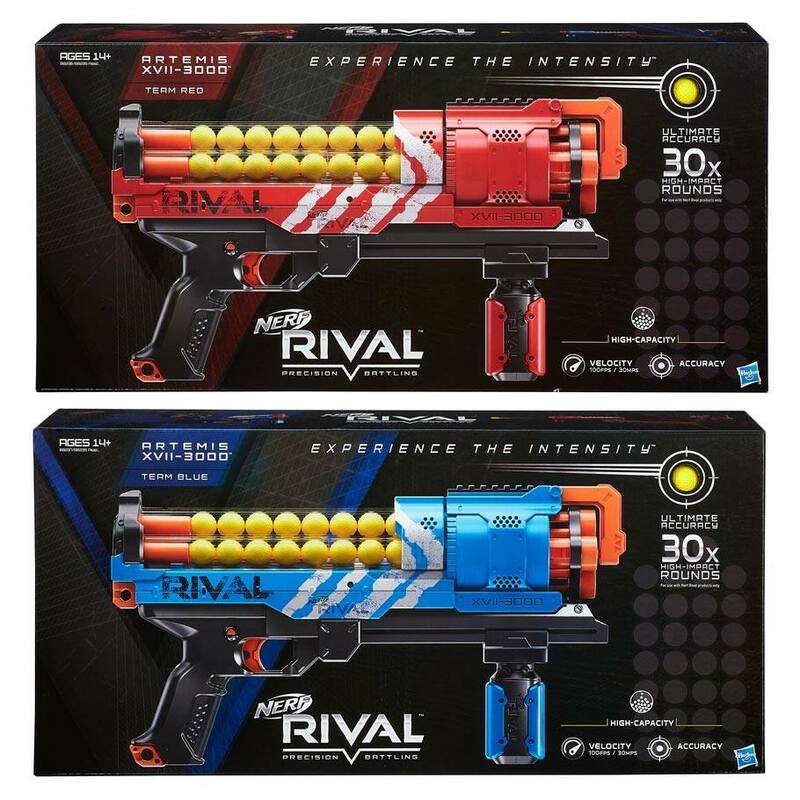 The retail site also contains a couple of pictures of the upcoming RIVAL blaster. Let’s take a look! 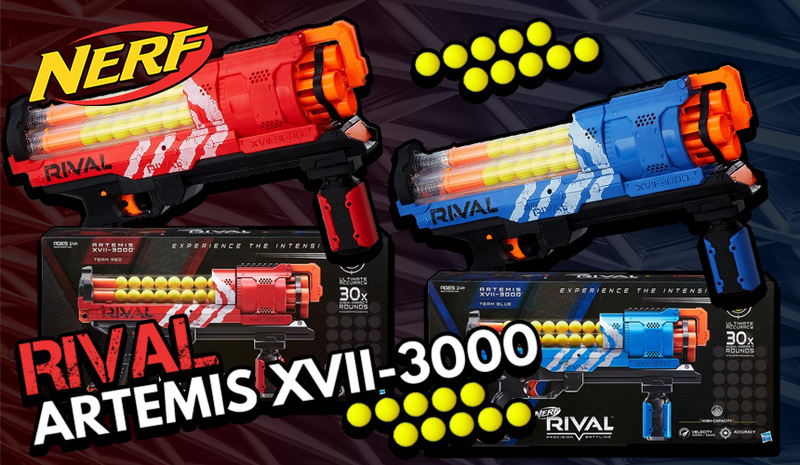 Experience the ultimate precision and power of the Nerf Rival Artemis XVII-3000 blaster! Choose a color and go into battle as the Red Team or the Blue Team. The Artemis XVII-3000 blaster has a spring-action cocking mechanism and fires at a velocity up to 100 fps (30 mps). It features an easy-load internal magazine that holds up to 30 high-impact rounds. Slam-fire your attack to unleash the rounds in a blistering stream. The blaster has a trigger lock and a tactical rail and comes with 30 rounds. Uses a unique internal magazine that holds up to 30 HIRs (high impact rounds), 10 in each cylinder. 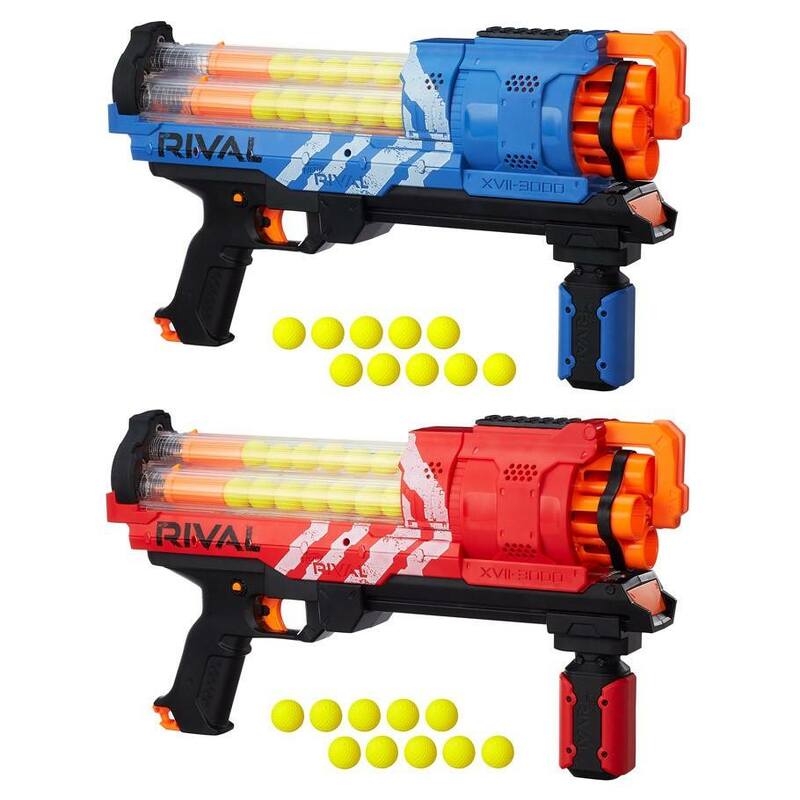 I don’t exactly know how the Nerf RIVAL Artemis blaster will operate, but I’m sure we can all agree there will be a rotating function for the front barrels. As for how the barrels rotate, we can only speculate. It’s also strange that the magazine is internal, so I’m not quite sure how one would load up the magazine. But if this blaster functions smoothly, it should be a lot of fun to use on the battlefield! 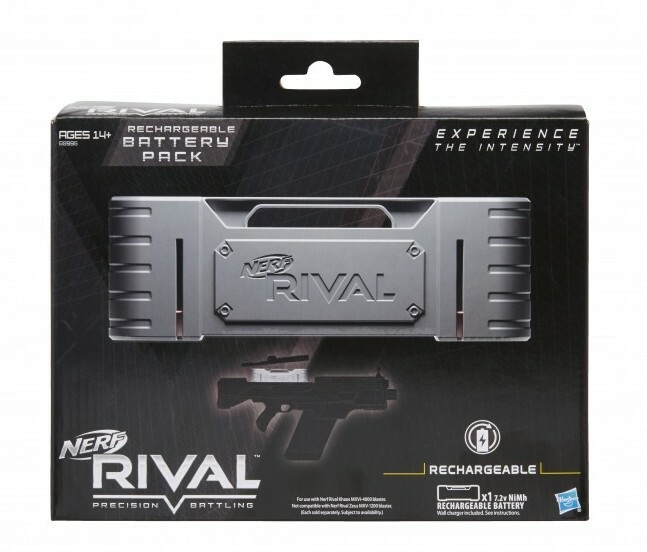 While we’re on the subject of Nerf RIVAL news, a 7.2v NiMh rechargeable battery for the RIVAL Khaos has been listed on A.B.GEE. This package will be very convenient for those who regularly use their Khaos blaster. This entry was posted in News/Updates and tagged artemis, blaster, hasbro, nerf, news, rival on December 2, 2016 by JJ Reviews. can i shipping this nerf gun denmark ? ?